One of the dirty secrets of New York City’s parking placard system is that you don’t even need a parking placard to get in on the action. 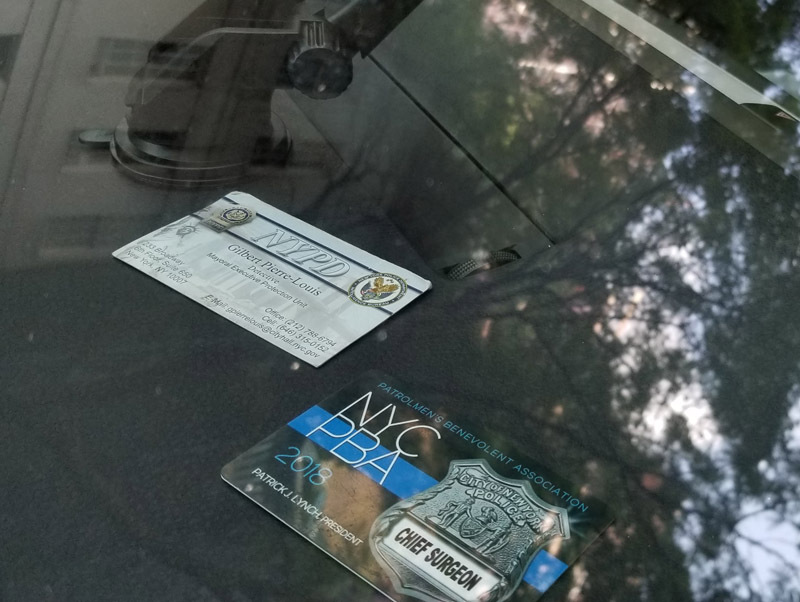 You can park illegally and police will turn a blind eye if you can show them just about anything that demonstrates — or merely implies — proximity to law enforcement personnel in your private life. 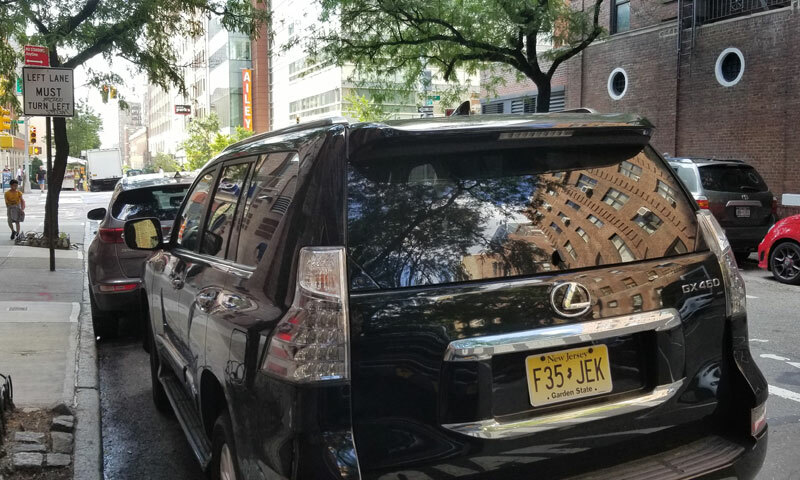 Equipped with a business card or two, you can drive around some of the most congested streets on Earth and conveniently deposit your Lexus SUV or Audi convertible wherever you wish, heedless of parking rules. The streets of Manhattan are your oyster. 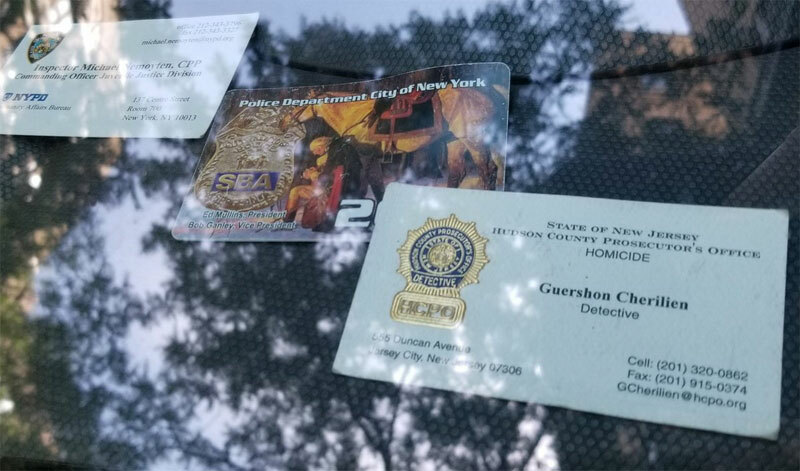 The watchdogs at @placardabuse recently uncovered a cache of dashboard swag in a no standing zone on West 55th Street, right down the street from Midtown North headquarters. It’s a good introduction to this brand of placard corruption. Is there anything stopping me from making my own placard and putting it on the dash? Is that against the law? What about if I bought a reflective vest and did the same. Seems like one way to fight this would be to simply blanket the neighborhood with fake placards in every single car. Then they would have to crack down and come up with a way to validate real placards. Maybe it is, but this article doesn’t cite the actual law violated. 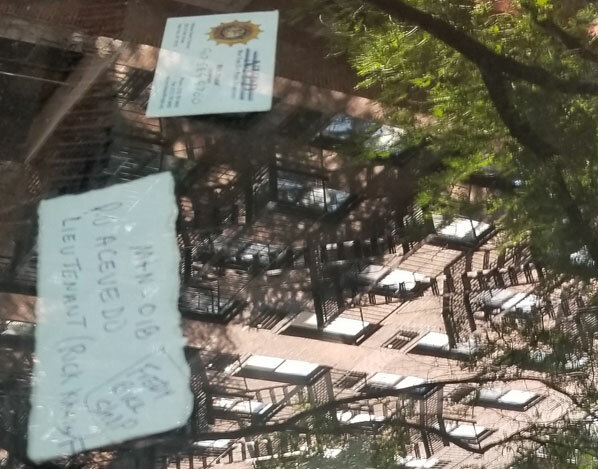 If I made a placard that says MYPD, I could probably argue it is not a forgery. lol forego our first amendment rights if it means disenfranchising those i don’t like! Cute idea, but I think the (real and fake) placards out there today already block enough bus stops and crosswalks and bike lanes and sidewalks and hydrants that I wouldn’t want to encourage even more motorists to join the bandwagon. Placards anise will cost $ 1.5 billion a year when new tar riffs are in place . I am Spartacus! I am Spartacus! And I am going to park wherever I please!